If the July Feelies concerts at Maxwell’s and Battery Park were celebratory affairs simply because the band was back and sounded great, last night’s concert at The Music Hall of Williamsburg was special for a whole different reason — the Feelies absolutely rocked. This was a band that did not sound as if they were playing their 5th gig after a decade and half of “down time”. Last night, the Feelies were tight as always, but added a significant amount of energy and animation to the stage show. Perhaps spurred on by the boisterous and vocal Saturday night crowd, each song seemed to reach a trademark Feelies crescendo with extra energy. “Deep Fascination” and “Slipping (Into Something)” in particular evolved into truly joyous cacophony. When we glanced at the soundboard booth prior to the show and saw the longtime Feelies soundboard tech Andy behind the board, we knew the sound in the venue would be terrific and we were not disappointed. This show was mixed to perfection and featured a full and rich soundstage. Our recording was captured from a prime location and we are extremely indebted to the talents of Andy for the quality of this recording. Enjoy! 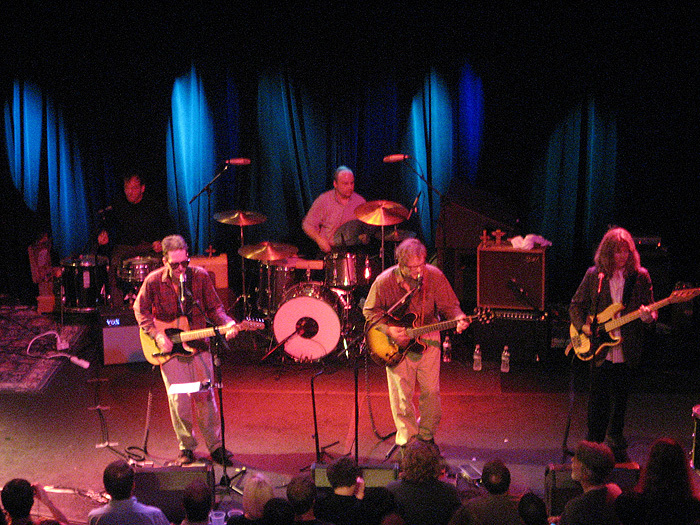 The Feelies perform again tonight at Bowery Ballroom! 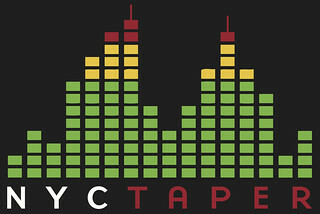 If you email nyctaper for access to this recording, we expect that you will PLEASE SUPPORT The Feelies and visit their official MySpace page, and purchase their official releases at various commercial outlets. They are working on new songs. Purchase their new CD when it is released! Finally fought through the server traffic to download the mp3s, and *man* was it worth the wait. Just a stellar recording, and an awesome show – big thanks to both you and the Feelies (and their soundman) for this one. Thank you thank you. That was an incredible show – waited 30 years to see the Feelies and I’m so glad I now also have a copy of the show. Please keep recording the Feelies shows. Many Many Thanks. Really Thanks for the effort, and thatnk you for The Feelies!! Can’t Wait for the new record, and can’t wait to hear these!! Thank You NYCTaper!